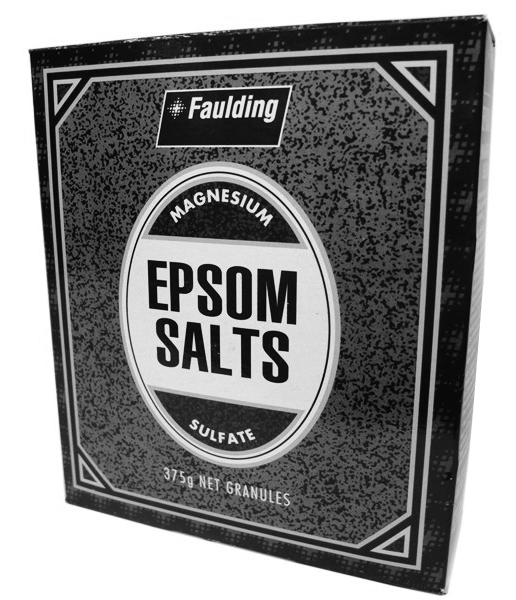 Epsom Salts are a pure mineral compound of Magnesium and Sulfate found in Epsom in England. I’d like to talk to you today about how you can use them to assist in the elimination of toxins from the energy around us. Epsom salts have been used for quite some time to draw out excess moisture from sore or swollen limbs. Most significant injuries will swell as part of the body’s natural defence mechanism. Swelling is how the body shields the limb or joint to protect it from further injury until it has healed enough. I myself have used epsom salts with a swollen ankle by filling a plastic bag with epsom salts and taping it around my ankle to soak up the excess fluid around the injured ankle when It was taking longer than usual for the swelling to go down. In the same way that Epsom Salts draw the excess moisture, they also have a way of soaking negative energy into it too. Put a small bowl or small Tupperware container of epsom salts on your desk. Be sure to replace the slats with fresh salts every few days to avoid a build up of energy. You can even put some into a mesh pouch and keep it in your pocket. Just make sure your mesh bag is not a loose weave so as not to end up with a trail of epsom salts behind you as it spills out of your bag and pocket! When you have a change of staff members, before the new person starts, cleanse their chair for them by putting a small pouch of epsom salts in a mesh bag on their chair for a few days to soak up all the old energy from the previous staff member. You can put small bowls of epsom salts in the main living areas to assist in the detoxification of energy. Again, ensure you change the salts every few days to avoid a build up of energy. You can have an epsom salt bath – follow the instructions on the packaging. On days where you feel emotionally and physically drained, an epsom salt bath will assist to remove the negative energies from the body. I have regular epsom salt baths (even if it’s just soaking my feet in the epsom salt water), to renew my energies after working with many clients throughout the week on the energetic level, I find I end up with headaches, tiredness, not feeling quite right and a sugar high/sugar low feeling. These are my signs that it’s Epsom Salt detox time so that I can feel like myself again. These salts can also be used to cleanse crystals by placing some into a small, shallow bowl and placing your crystals into the salts for a few hours. There are many ways you can use epsom salts to cleanse energies around you. Find something that works for you and give it a go and let me know what changes you’ve noticed by implementing the Epsom Salt Cleanse Technique.